Crowdfunding refers to collection of funds from multiple investors via web-based platform or social networking site for a definite objective. Such objective could be projects (for instance, music, film, book publication), benevolent or public-interest cause (for instance, a community based social or co-operative initiative) or a business venture. 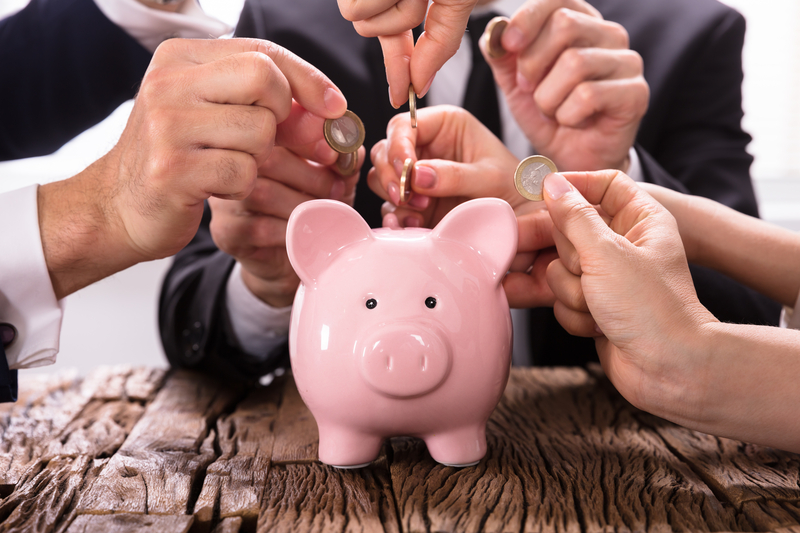 Small financial contributions from number of persons cumulatively may fulfil the fund requirements of the Investee who otherwise lacked access to such funds. These contributions are sought through an online crowd-funding platform or via social media. 2. Pre-order Crowdfunding: The investors contribute today with the objective of receiving a product later, pre-purchase a product. For instance, pre-ordering furniture manufactured from plastic waste post production. This is considered legal in India. 5. Equity based Crowdfunding: It refers to fund raising by a business, particularly early-stage funding, through offering equity interests in the business to investors online. Equity Crowdfunding is illegal in India and is considered as “unauthorised, unregulated and illegal” by SEBI. Why hasn’t Equity Crowdfunding taken off? The Securities and Exchange Board of India (SEBI), the regulator for the securities market in India, aims to protect the interests of investors in the country and due to various risks associated with Equity crowdfunding, it has classified the same as illegal. The risk associated with unregulated investments is high because the investor may lack skills and experience of assessing the risk before investing. Small investors with limited savings may get attracted to such risky investments in the expectation of high returns if the start-up goes successful. However, in the absence of any regulations in place and no to less recourse on the issuer of security, such securities are unsecured and could hamper the liquidity of a low risk appetite investor. Further, the investor relies on soft information and is not able to undertake due diligence to the extent that VCs, PE and other financial banks do with detailed information. The sources of funding for Start-ups include private equity, angel investor and loan arrangements from financial institution. Any offering of public equity takes place only after the product or business becomes commercially viable. However, in Equity based Crowdfunding, funds may be solicited at an earlier stage, for instance, pilot development. Thus, giving the Company, access to funds beyond the traditional sources mentioned above. It is essential to formulate balanced crowdfunding regulations in India that lower the cost of capital and increases liquidity while ensuring adequate investor protection and minimizing investment risks. SEBI proposed guidelines in 2014, via a ‘Consultation Paper on Crowdfunding in India’ for crowdfunding aimed at improving access to funds for start-ups and small-to-medium enterprises. 6. Disclosure details on proposed business plan, intended fund usage, audited financial statements, management details etc. 7. Registered crowdfunding platform to conduct regulatory checks and basic due diligence of start-ups and investors; and Constitution of ‘screening committee’ by each platform comprising 10 persons with experience in capital markets, mentoring start-ups etc. Collectively, the US, UK and China make up 96% of the overall FR (Financial Reward) crowdfunding market, with USA accounting for 51%, China for 28% and UK for 17%. Israel and Japan have prohibited P2P Lending and equity crowd-funding. Intermediary Regulation in Australia, Argentina, Brazil, New Zealand: This regulates peer-to-peer lending platforms as an intermediary. A Platform is generally required to be registered as an intermediary. US Model: This is a two-tier system. It requires the registration of peer-to-peer lending platforms with the SEC, as well as applying for a licence to conduct business on a state by state basis. Canada: Crowdfunding is divided into Non-Equity and Equity Crowdfunding platforms in Canada. Equity Crowdfunding includes issuance of securities and consists of peer-to peer (P2P) lending and equity transactions. There are registration requirements for Crowd Sourced Equity Funding Platforms, including Integrity, proficiency and solvency requirements and for the persons operating them. United Kingdom: In March 2014 Financial Conduct Authority (FCA) came out with regulations governing the crowdfunding in Britain. The new regime will be applicable to the firms operating loan-based crowdfunding platforms and investment-based crowdfunding platforms. Japan: Financial Services Agency (FSA), Japan has promulgated an amendment in Financial Instruments and Exchange Act on May 23, 2014 to facilitate and promote, inter alia, Equity Crowdfunding in Japan. How much was raised in India last year? Close to 200 companies have raised INR 35,057,840- INR 45,074,366 on these platforms over the past 18 months as per a Sep 2016 report. Transaction Value in the Crowdfunding segment amounts to $ 2 mn in 2019. Transaction Value is expected to show an annual growth rate (CAGR 2019-2022) of 0.7% resulting in the total amount of $ 1.8 mn by 2022. The average funding per campaign in the Crowdfunding segment amounts to $ 145 in 2019. From a global comparison perspective, it is shown that the highest transaction value is reached in China ($ 5,572 mn in 2019).